Leigh Community Art Group is pleased to announce our Annual exhibition and sale of paintings from 9 July 2014 Wednesday - Opening Night - admission by ticket only. Thereafter admission is free at any time the room is open. Our Annual Exhibition which runs for approx 4 weeks from the opening night. For details of when the rooms in Leigh Library are open please ring the telephone number on the home page of this blog. 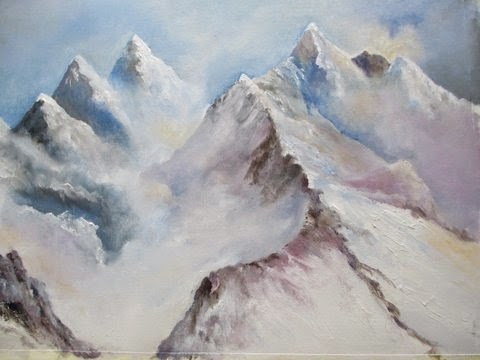 Meanwhile here is "Snow Capped Mountain Range", in oils, by B. Marsh.